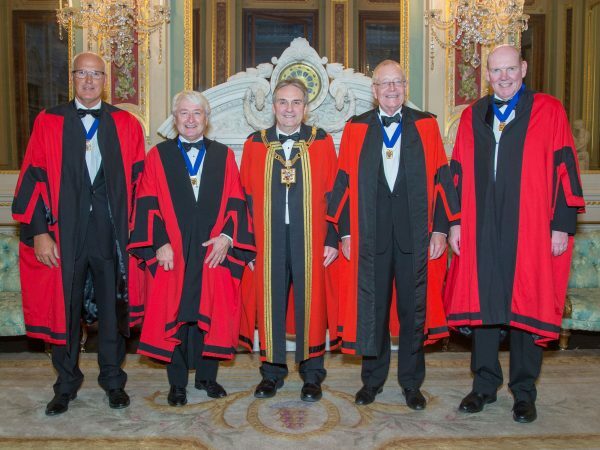 Most new members join as Freemen and are then, subject to meeting the requirements of the City of London, entitled to become a Freeman of the City of London. Then, when they feel they’re ready, and subject to eligibility and approval of the Court, they move forward to being clothed as a Liveryman. This entitles them to vote in some city elections and attend certain events. The Company is governed by a Court of around 40 people. Some are elected officers, such as the Master and Wardens. Others either aspire to those positions, or, like Past Masters, have held office and remain to give the benefit of their experience. Court is also attended by the Honorary Court Assistants who, like the Past Masters, are there to share their knowledge. The day-to-day administration of the Company falls to the Clerk, who arranges the formal functions on behalf of the Master and deals with financial matters in conjunction with the Honorary Treasurer. General management of the Company is carried out by nine formal committees, who each meet some three times a year.